Thirteen Hypericum species growing in Bulgaria were investigated for free radical-scavenging activity, antioxidant activity, total tannins and total flavonoids contents. Methanolic extracts from the Hypericum species were analyzed for radical scavenging and antioxidant activities using DPPH-, ABTS- free radicals, total antioxidant activity and inhibition of lipid peroxidation by ferric thiocyanate (FTC) method. Butylated hydroxytoluene and ascorbic acid were used as positive controls. Methanolic extracts from H. cerastoides, H. perforatum and H. maculatum demonstrate the highest antioxidant activities and are potential sources of natural antioxidant compounds. The quantification of tannins and flavanoids were determined in Hypericum species using Folin-Chiocalteu reagent and AlCl3, respectively. 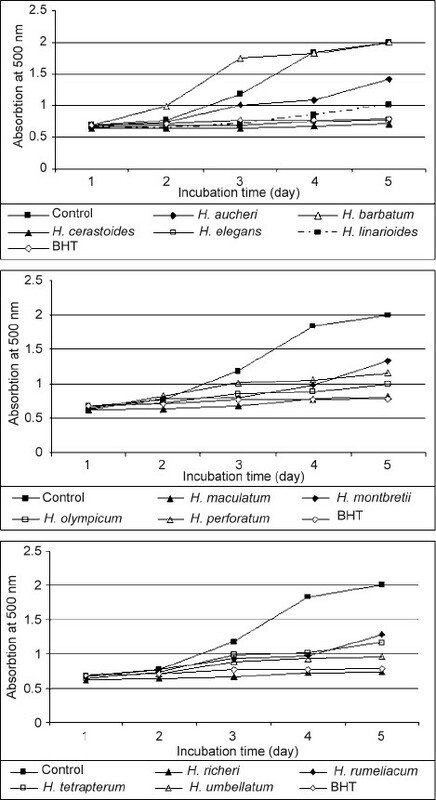 The amounts of the tannins ranged from 1.30 ± 0.01 mg/100 g dw in H. elegans to 8.67 ± 0.02 g/100 g dw in H. perforatum. 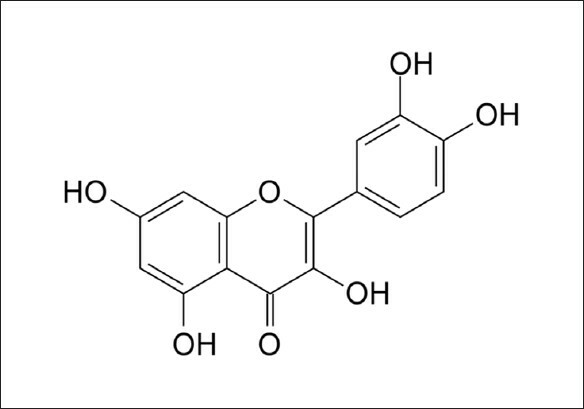 The highest concentration of flavonoids was found in H. cerastoides (1.22 ± 0.02 g/100g dw), and the lowest amount was established in H. olympicum (0.20 ± 0.03 g/100g dw). In this work, the chemical constituents, antibacterial and modulatory activities of the essential oil of Lantana camara Linn were studied. The essential oil was extracted from the leaves of L. camara by hydrodistillation method using Clevenger's apparatus and its chemical constituents were separated and identified by GC-MS, and the relative content of each constituent was determined by area normalization. 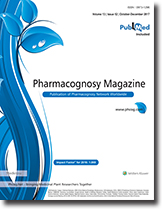 Among the 25 identified components, bicyclogermacrene (19.42%), isocaryophyllene (16.70%), valecene (12.94%) and germacrene D (12.34%) were the main constituents. The oil was examined to antibacterial and modulatory activities against the multiresistant strains of Escherichia coli and Staphylococcus aureus by microdilution test. The results show an inhibitory activity to E. coli (MIC 512 μg/ml) and S. aureus (MIC 256 μg/ml). The synergism of the essential oil and aminoglycosides was verified too, with significant reduction of MICs (7Χ, 1250-5 μg/ml) against E. coli. It is suggested that the essential oil of Lantana camara Linn could be used as a source of plant-derived natural products with resistance-modifying activity. This study was carried out with the objective of establishing Ultra Performance Liquid Chromatograph (UPLC) fingerprint for the identification of Magnoliae officinalis cortex processed. It was extracted by methanol using an ultrasonic extractor. Twelve samples of M. officinalis cortex produced in Zhejiang of China from different places and species were processed with ginger juice; sample solutions were determined by Waters UPLC equipped with BEH C 18 column and a DAD detector, gradient eluted with formic acid/methanol-formic acid/water as mobile phase. The flow rate was set at 0.3 ml• min -1, while the column temperature was set at 30°C, and the wavelength for detection was set at 240 nm. The characteristic of the common peaks of the UPLC fingerprint for M. officinalis cortex processed are obvious. Forty-one common peaks were detected and two of them were identified. The method of UPLC fingerprint established in this experiment was rapid and efficient. It is an effective means for the quality control of M. officinalis cortex processed. The antioxidant activities of the methanol extract of Sarcodon imbricatum wildly grown in the Black Sea Region of Turkey were investigated in this study. Antioxidant activities were evaluated in terms of total antioxidant activity, reducing power, metal chelating ability, inhibition of linoleic acid peroxidation, superoxide, peroxide and hydrogen peroxide scavenging effects. Various antioxidant activities were compared to references antioxidants such as α-tocopherol, butylated hydroxyanisole (BHA), butylated hydroxytoluene (BHT), and trolox. In total antioxidant (12674.45 ΅mol α-tocopherol/g of extract), superoxide scavenging (53.74%) and peroxide scavenging activity (45.73%), the methanol extract of Sarcodon imbricatum showed stronger activity patterns than that of references antioxidants. Reducing power, metal chelating activity and free radical (DPPH• ) scavenging activity was increased with the increasing concentration. The contents of total phenolic, flavonoid, anthocyanin, ascorbic acid, β-carotene and lycopene of Sarcodon imbricatum were determined and found to be noteworthy. A rapid, effective, binary reverse phase rapid resolution liquid chromatographic method has been developed for the determination of Paeoniflorin extracted from Paeonia sinjiang K. Y. Pan. with short run time. 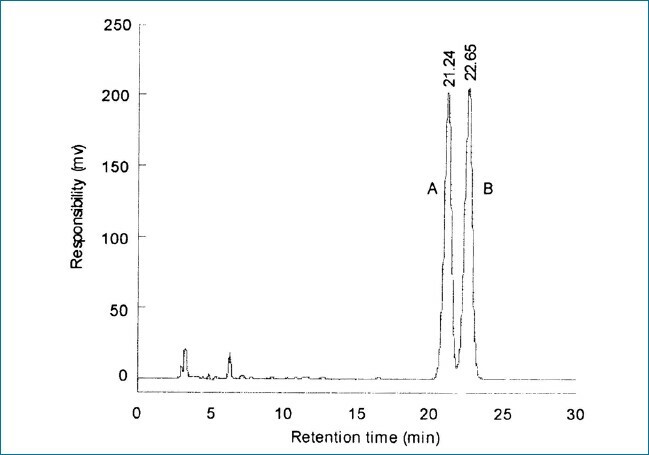 RRLC separation was achieved by using Agilent (Zorbas XDB-C 18 4.6 mmΧ50 mm, 1.8 μm) column with mobile phase complosed of methanol and 0.05 mol/l potassium phosphate monobasic. Flow rate was at 1.0 ml/min. Retention time was at about 1.16 min. Recovery rate was 99.8% and relative standard deviation of three replicate samples tested was 1.8%. RRLC method has been applied to both in vitro studies of paeoniflorin formulation and drug estimation in biological samples. Isolation and identification of some potent anti-tumor compounds from medicinal plants has motivated researchers to screen different parts of plant species for the determination of anti-tumor effects. In this study, cytotoxic effects and IC 50 of specific concentrations of hydro-alcoholic extracts of fruits of Juniperus sabina and leaves of Zataria multiflora were compared with hydro-alcoholic extract of bark of Taxus baccata and Cisplatin, well-known anticancer compounds, on normal (CHO and rat fibroblast) and cancer (HepG2 and SKOV3) cell lines. The hydro-alcoholic extracts of the plants were prepared by percolation. The cytotoxic effects and IC 50 of the extracts on the cell lines were studied followed by colonogenic assay after 72 h incubation. 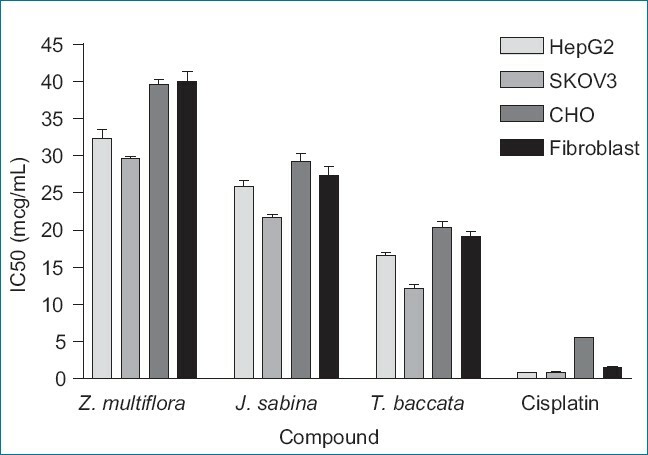 The results showed that the extract of Juniperus sabina possesses lower IC 50 in comparison with Zataria multiflora extract on all 4 normal and cancer cell lines (P < 0.05); but, IC 50 of the Juniperus sabina extract was significantly higher than the Taxus baccata extract and Cisplatin on all 4 normal and cancer cell lines (P < 0.05). As a result, it is concluded that the extract of J. sabina has almost similar cytotoxicity with the extract of Taxus baccata on cancer cells. A simple approach for the rapid determination of polysaccharides in BianTi Soft Extract using spectrophotometry coupled with gas chromatography-mass spectrometry (GC-MS) was developed. The mixed standard solution composed of D-glucose, D-mannose, galactose and D-xylose in different proportions (1.00: 1.01: 0.12: 0.05) was prepared according to the monosaccharide composition analysis of the polysaccharides by GC-MS. The determination of polysaccharides by UV-Vis spectrophotometer was performed after 35-min color reaction, in which 1 ml 5% phenol and 4 ml sulfate was used. The assay of the method validation has shown that the method was stable, reliable and feasible. Furthermore, the proposed method was successfully applied in the preparation procedure of BianTi Soft Extract, selecting out optimal decoction conditions and suitable decoction container. It suggests that the convenient method could be useful for the quality control of BianTi Soft Extract. Meanwhile, it may be an alternative for polysaccharides determination of other formulations. 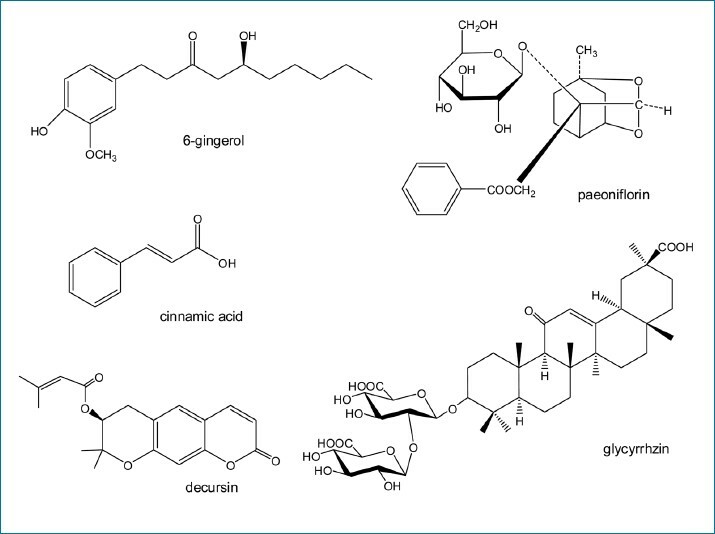 A HPLC-DAD method was established for the simultaneous evaluation of five bioactive compounds in Ssanghwa tang (SHT) including glycyrrhizin, paeoniflorin, cinnamic acid, decursin and 6-gingerol. These compounds were separated in less than 40 min using a Dionex C 18 column with a gradient elution system of water and methanol at a flow rate of 1 ml/min. Calibration curve of standard components presented excellent linear regression (R 2 > 0.9903) within the test range. Limit of detection and limit of quantification varied from 0.07 to 0.46 μg/ml and 0.13 to 1.11 μg/ml, respectively. The relative standard deviations (RSDs) of data of the intraday and interday experiments were less than 3.67 and 5.73%, respectively. The accuracy of recovery test ranged from 95.98 to 105.88% with RSD values 0.10- 4.82%. 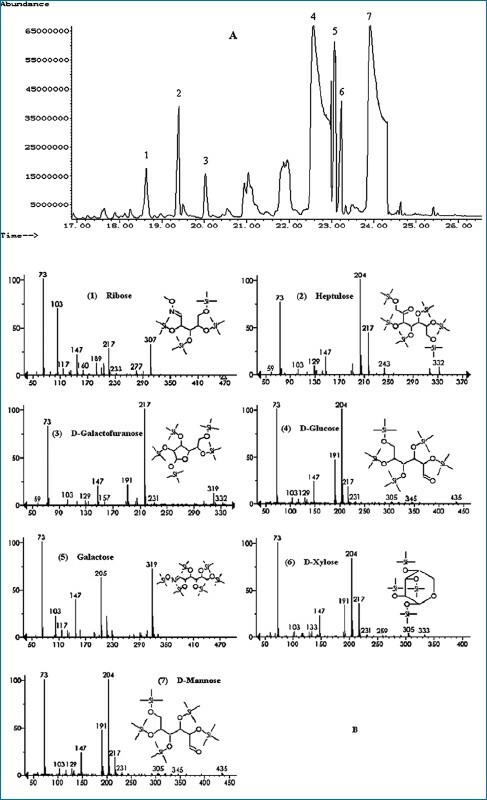 A simple, precise, rapid and accurate, binary-phase high performance liquid chromatographic method has been developed for the determination of oleanolic acid and ursolic acid contents in the Ziziphora clinopodioides Lam. with short run time. 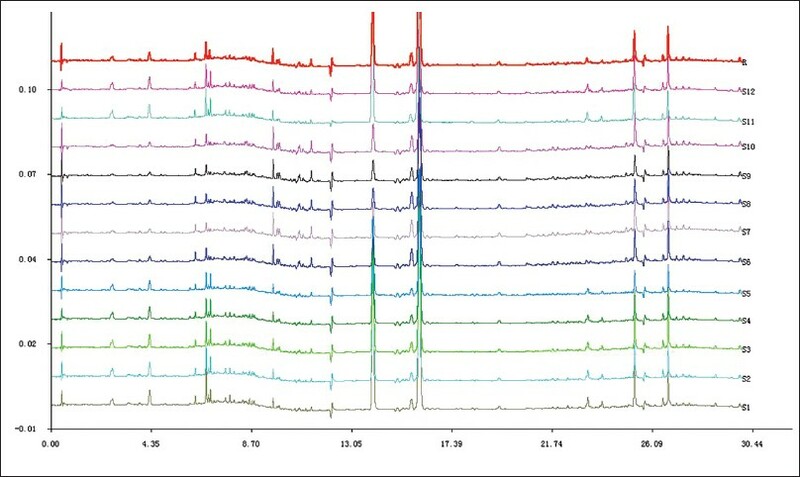 Chromatographic separation is achieved by using HPLC system consisting of a Shimadzu LC-6AD and Kromasil C 18 column (150 Χ 4.6 mm, 10 ΅m, with pre-column), the mobile phase consists of methanol and 0.03 M phosphate buffer (pH = 3, 90:10). 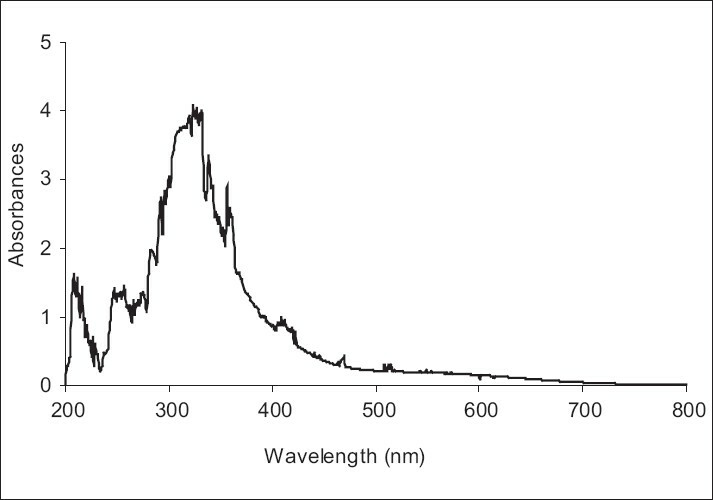 Detection wavelength is 214 nm. The speed of flow is 0.5 ml/min. The specimen handing quantity is 10 μl. The oleanolic acid's linearity range is 0.4~1.2 mg/ml (r = 0.9996). 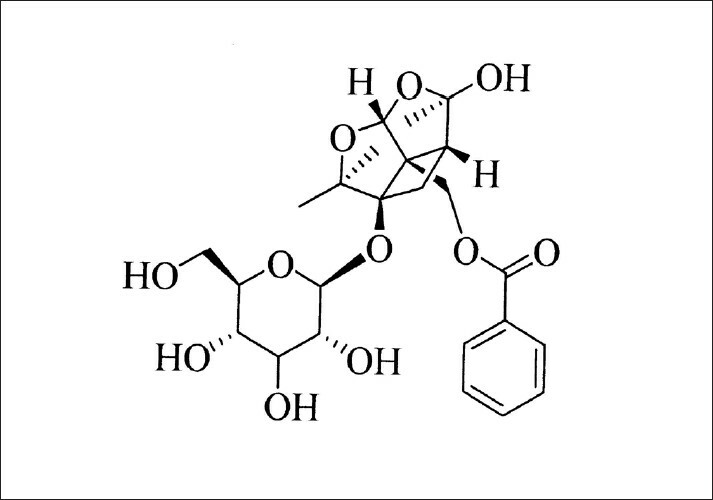 The ursolic acid's linearity range is 0.6~1.8 mg/ml (r = 0.9996), and the linear relationship is accurate. The average recovery (n = 6) of oleanolic acid is 99.5% (RSD = 1.19%) and ursolic acid is 102.3%(RSD = 1.25%). The content of oleanolic acid and ursolic acid in Ziziphora clinopodioides are 0.76 mg/g and 1.176 mg/g, respectively. The developed HPLC method can therefore be applied to both in vitro studies of oleanolic acid and ursolic acid formulations as well as drug estimation in biological samples. The objective of the present study was to evaluate the toxic effect of Averrhoa carambola (star fruit) juice at different storage conditions in Sprague Dawley (SD) rats. Twenty female rats weighing 180 ± 20 g were randomly assigned into four groups with five rats per group (n = 5). First group served as the control group, fed with distilled water (vehicle). Second, third and fourth groups were orally treated with juice of A. carambola stored for 0, 1 and 3 h respectively for 14 days. Cage-side observations were done daily after each treatment. Body weight, food consumption and water intake were recorded on day-0, day-3, day-7 and day-14. All rats were fasted overnight prior to blood collection through cardiac puncture on day-15. The levels of alanine aminotransferase (ALT), aspartate aminotransferase (AST), alkaline phosphatase (ALP), urea and creatinine in blood serum were measured. Data were analyzed using Dunnett's test. From the results obtained, there was no lethality found and LD 50 could not be determined. Increment of ALT levels (P < 0.05) was reported in those rats treated with A. carambola juice stored for 3 h. On the basis of these results, we can conclude that A. carambola juice stored for 0 hand 1 h are safe to be consumed. However, juice stored for 3 h exerts toxic effect on rat liver at hepatocellular level. Satureja Macrostema is used both as a functional food and as a drug. In this study, the antioxidative potential of the methanol extract of Satureja Macrostema (SM) was evaluated using various antioxidant assays, including DPPH, superoxide, nitric oxide (NO), hydroxyl radical scavenging and iron-chelating activity. Total phenolic and flavonoid content of SM was also determined by a colorimetric method. The extract exhibited powerful free radical scavenging, especially against DPPH, hydroxyl radical scavenging and iron-chelating activity as well as a moderate effect on NO and superoxide anions. The protective effects of methanol extract of SM were studied in carbon tetrachloride-reduced biochemical markers of hepatic injury such as glutamate pyruvate transaminase (SGPT), serum glutamate oxalaoacetate transaminase (SGOT), alkaline phosphatase (ALP), serum bilirubin, cholesterol alanine aminotransferase (ALT) and aspartate aminotransferase (AST) levels. The increased level of HDL demonstrated dose dependant reduction in the in vivo peroxidation induced by CCl4. SM could protect from paracetamol-induced lipid peroxidation eliminating the deleterious effects of toxic metabolites from paracetamol. Degree of protection was measured by using biochemical parameters such as serum transaminase (GOT and GPT), alkaline phosphatase (ALKP) and bilirubin. Hexane and chloroform extracts did not show any effects. Results obtained in the present study suggest that S. Macrostema elicits hepatoprotectivity through antioxidant activity on carbon tetrachloride- and paracetamol-induced hepatic damage in rats. The present study was undertaken with the objective of finding out the comparative analgesic effect of Ligusticum chuanxiong (LC) pieces decoction, LC formula granule decoction, liquored LC pieces decoction and liquored LC formula granule decoction. The analgesic effects were analyzed using the hot plate and acetic-induced writhing test in mice, and antidysmenorrheic effect was observed with primary dysmenorrhea model. The results showed that four kinds of LC decoction had definite effect in delaying incubation period and decreasing the writhing frequency within 30 min. They also effectively relieved dysmenorrhea. 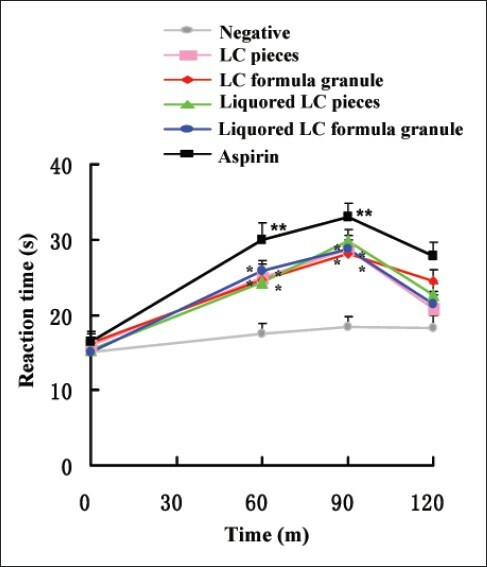 Moreover, liquored LC had better analgesic effect than crude LC in four decoctions. Quercetin, a natural compound of multiple origins, has broad biopharmacological effects, such as antioxidant, directly scavenging free radical, and hepatoprotectivity effects. This study is designed to investigate the interveneous effect of quercetin on liver injury induced by ethanol in rats. The rats that were orally treated with 50% ethanol for continuous ten days, which resulted in cell necrosis, fibrosis and inflammatory infiltration, were included in this study. Higher contents of AST, ALT ADH, γ-GT, TG in plasma and MDA in liver tissue, and lower content of GSH in liver tissue were highlighted in ethanol-treated rats when compared with healthy ones. The levels of cytokines such as IL-1β, IL-1, IL-6, IL-8, and TNF-α in rats plasma were also significantly enhanced, and level of IL-10 was obviously lowered through ethanol treatment. By preventive and synchronism treatment with quercetin for fourteen days, the contents of AST, ALT ADH, γ-GT, TG and MDA, and levels of IL-1β, IL-1, IL-6, IL-8, and TNF-α were significantly reduced, whereas GSH and level of IL-10 were obviously increased. It may be deduced that quercetin, by multiple mechanisms interplay, demonstrated somewhat protective effect on liver injury induced by ethanol in rats. The present study evaluated the anticholinesterase activity of cold and hot aqueous extracts of Ficus racemosa stem bark against rat brain acetylcholinesterase in vitro. Both the cold aqueous extract (FRC) and the hot aqueous extract (FRH) exhibited a dose dependent inhibition of rat brain acetylcholinesterase. FRH showed significantly higher ( p ≤ 0.001) cholinesterase inhibitory activity compared to FRC; however, both the extracts did not show 50% inhibition of AChE at the doses tested (200-1000 μg ml -1 ). The IC 50 values of 1813 and 1331 μg ml -1 were deduced for FRC and FRH, respectively (calculated by extrapolation using Boltzmann's dose response analysis).